is it possible to make 3g video call? 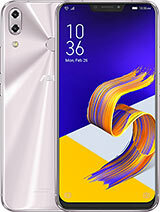 AnonD-310813, 22 Sep 2014```````````````````Hi, i was bought a zenfone 5 with 8gb...i works fine for d same day..then i... moreHow did you install update? Just System update in Settings / About? If you did that, then unfortunately there's not much we can do until the next firmware comes out. At that time load complete firmware, not only FOTA update. But with SIM slots not working either, your issues could be deeper. 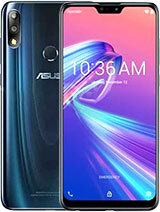 Contact the seller or Asus service center. AnonD-308768, 22 Sep 2014Dear Tomaazz I have downloaded this file and copied it to the root folder .After ejecting it f... moreWhat you have is already the latest firmware. You would only see notification icon if you're installing a newer version than one currently installed. 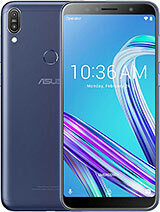 amit jain , 22 Sep 2014Dear touch is better than iphone.Iphone touch 76 ms whereas asus zenfone 5 touch response 60ms... moreI'm not looking at it from pure miliseconds of response time. What I am looking at is how many times I felt that the phone is lagging, and when it registered the wrong taps, like when I just wanted to scroll but it opened the app instead. I can't remember any of that happening on the Zen. On others though - happened a lot. So there's absolutely nothing wrong with the touch function on the screen. It's actually one of the most perfected touch systems out there. Gmobile, 22 Sep 2014I can't seem to turn off the vibration of zenfone 5 at then 3 main button...Swipe the screen to have active home screen. Use the volume down button to 0, it will switch from volume to vibrate. Now press down volume again, and it will disable vibrate. This may depend on your firmware version. AnonD-289600, 22 Sep 2014is normal if the phone heats up (mild temperature) while in pc link, will it damage the phone?when the phone's CPU is active, it heats up. That demonstrates as warm square cm of back plastic just under the camera flash. That is normal and does not pose danger to the phone. The CPU is being monitored and the phone would shut down if temperature exceeds design limits. AnonD-289600, 22 Sep 2014hi tomazz, how did you manage to last you're battery life up to 3 days. should i have to updat... moreI never stated 3 days, I don't know who did. My phone lasts 1 day of moderate use, and 2 days of light use. I use no bluetooth, have auto setting on display brightness, battery optimizer (default power save option - middle), and a very good signal - I'm 5-10 m from the transmitter (great for getting cancer). There are 2 SIMs, 3G SIM is on 2100 MHz, 2G SIM is 1800 MHz. Wifi is channel 1. Bluetooth is off, so is flip cover setting and glove mode. Using Wifi when indoors, 3G ouside. Charging once every 2 days. kanna, 21 Sep 2014did asus zenfone 5 has the otg cable connectivity option ?? ?Yes, but it might not support everything plugged into the USB slot. Depends on whether that is supported by OS. But yes, last couple of firmware revisions support OTG. Original firmware did not. 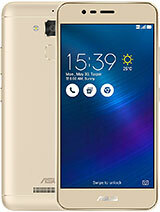 Anand, 21 Sep 2014Hi, I had brought Asus Zenfone 5 2 months ago Used as very fine mobile. but after 2 months One... moreCan you try to change to another USB cable and maybe try to charge it from a USB port on a computer (there you might need to let it install drivers first, before charging starts - on Windows 7 that should be done automatically), or use another USB charger for another phone. When you start charging, it should show an empty battery for a moment, and it takes maybe 5 min before you can turn it on again. Hmmm.. when plugged in, is the little LED next to the camera at the front illuminated in orange? 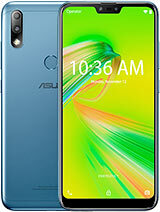 If green, try to press power and down volume together to turn the phone on, and use a system restore in the menu. Adjsl, 21 Sep 2014guys, please do not make any r&d on your set ,especially rooting or any other engineeri... morePretty standard recommendation - don't root your phone if you've got no clue what you're doing. wasabihua, 21 Sep 2014Someone help me plsss... I can't see the 3g logo on my screen n I can't access to data... y?? ?Is your Cellular Data enabled? If it is, is the APN set up properly? When you buy a phone from the operator, they would prefill these settings, but if you get it from another country, usually you need to set these things yourself. Check the website of the operator for instructions and settings (most phones look the same in internet settings, so no need to look for this model), or take it to their counter to have it set up. 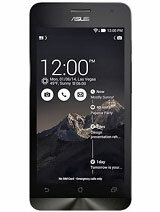 Rocky, 21 Sep 2014I have purchased a New Asus Zenfone 5, on 19/9/2014, from Flipkart. 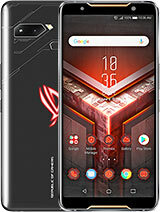 It's a good phone in price... moreWhat is your current firmware? Under Settings, About, and last entry at the bottom? 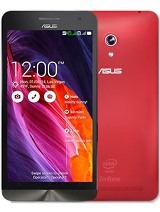 krish_r , 21 Sep 2014Hi,i bought asus zenfone 5 8gb on friday 18_09_2014. It works perfect for d same day.and i wa... moreI think I understand what the problem might be. The ZF when it's turned on for the first time comes with stock firmware from the factory. That's pre-1.14 firmware version. However if you then go to System Update, it downloads the FOTA 1.18.40 firmware. It should have updated all the steps to it, 1.14, 1.15, 1.16 and 1.17 first, before dumping 1.18 in. But it does not, meaning that the entire series of fixes are missing in the OS. This causes a LOT of troubles, many of those that you guys are experiencing. Restoring the phone fixes nothing, because previous patches are not included in recovery partition either, hence that does nothing. The "fix" is to NOT do FOTA update for the next version, and do a FULL OS upgrade (yes, that dreaded 700 MB file) and do a full factory reset after the complete firmware is replaced. Now I do not know if there will be another JellyBean firmware released before KitKat is, but note that KitKat will in any case replace whole OS, so that would fix the issues for you in worst case. However if you just got a new phone and have not updated it yet, do NOT use FOTA update. Go and download the full firmware file yourself, and manually upgrade, which will include all of the fixes, not only the 1.18 version ones. I hope this saves you some headache. AnonD-310078, 20 Sep 2014How to stop auto installation of app when net is onApp Store settings - disable automatic update. There's an option to automatically update on Wifi - that's what you turn off. It never auto updates on cellular data connection. Corning has a little bit of quality variation on their glass, and some is better, and some worse. The glass is "up to" that many times stronger than other types of glass, and it achieves this in crystal structure, where random shaped crystals cause the weakness of glass. But one thing is theory, the other is practicality. All is Gorilla, but some are better than the others. It should all be better than tempered glass though. AntonBekq, 20 Sep 2014Hi!! I've got the phone about a week. It just perfect. But i have one problem. I have installe... more1.18.40 Firmware does not have this issue. This was only original pre 1.14 firmware that was default installed in factory, that had this nonsense. Install 1.18.40 update (FULL 700 MB, NOT FOTA), and update all the apps when you're done. The issue should go away. aulia, 20 Sep 2014Dear Tomazz, I hv done all instruction from u to update the firmware. When i eject from cable... moreHas the firmware been loaded for the same SKU? It's also quite important that you use a good quality USB cable and make sure that the file isn't corrupt. Inside the ZIP file there's another ZIP file, that's the one that you copy. 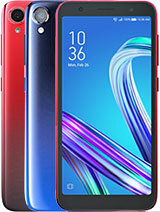 If your phone can boot, I would recommend you do the factory reset, and if not, press the power and down volume when turning the phone on to get into the system recovery - there use Recovery mode, to restore the phone from the recovery partition. But I'd be near certain that this is either corrupt file (less likely) or the wrong SKU (most likely).